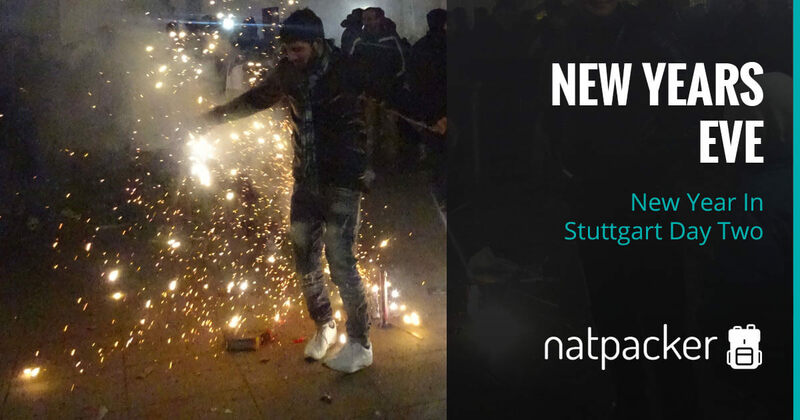 New Year In Stuttgart Day One, takes place on the eve of New Year’s Eve. We head out from Heathrow to Stuttgart. We arrive at Stuttgart fairly early and find entertainment for the day. In case you missed it, here’s the Prequel. The five of us meet in the lobby ridiculously early for our early flight. We got a Uber to Heathrow Airport, and quickly got through all the security. We had over half an hour to wait, so we decided to have a drink. It turned out we didn’t have as much time as we thought… Luckily Bridget looked at the departures board and noticed that it was the last call for our flight! So the sprint to the other end of the airport commenced! We actually made it with plenty of time, well the plane didn’t move after we were on it for ages! The flight was nothing special, luckily the free meals on British Airways hadn’t been stopped at this point, so we got a free croissant. Well, everyone but Bridget did, as her gluten free diet means she misses out on such things! Arriving at Stuttgart we quickly found the train station and headed to the main station, which was near where our AirBnB was. Tickets for the public transport were amazing, well compared to England! We bought a Group Day ticket which allowed up to five people to travel together to any station and any number of journeys. Amazing and very cheap for what you get. We were far too early to check in, so had to find some entertainment. The five of us headed into the I-centre for some inspiration. Gaining a few leaflets we went to a shopping centre and found the food hall as Bridget was hungry. We sat down with some chips and planned the day. 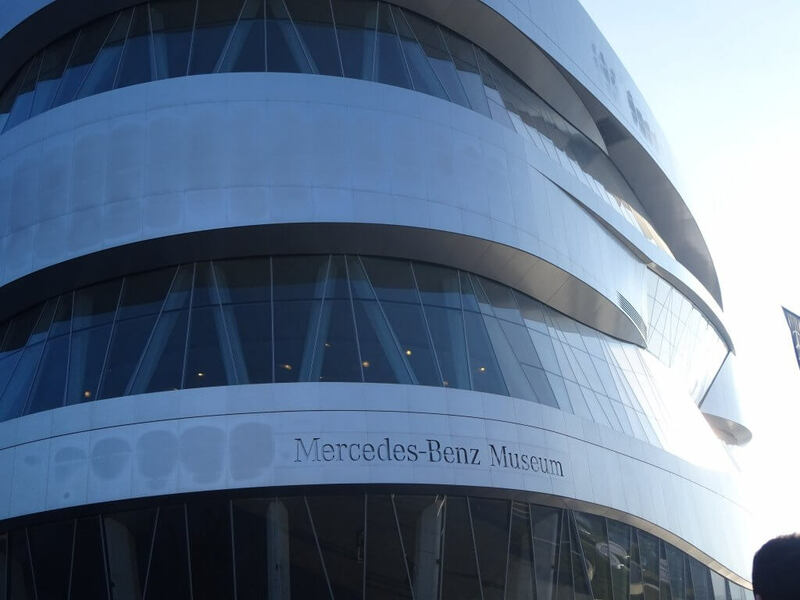 We decided to head over to the Mercedes-Benz Museum, as we had lots of time to spare. 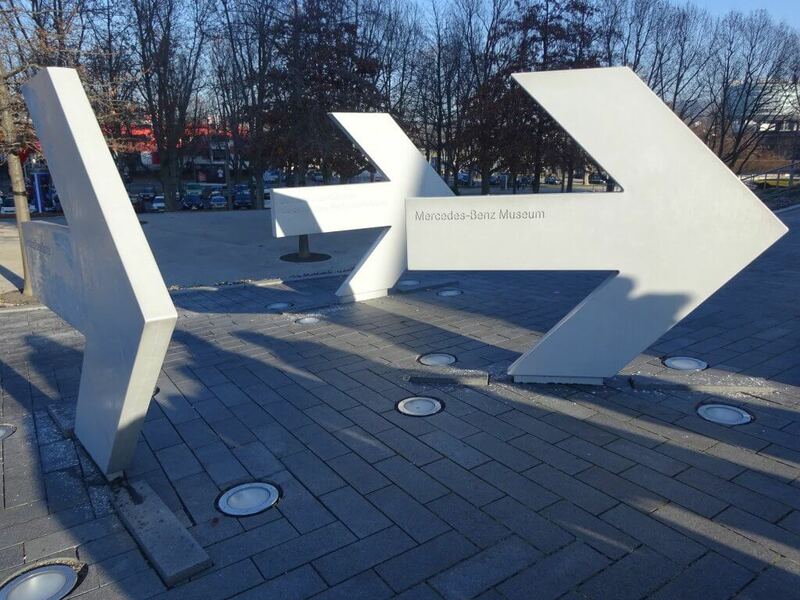 The museum is a little out of Stuttgart and it would be closed on New Year’s Eve. I wasn’t really interested in this museum, I’m not really into cars, but it’s meant to be the thing not to miss, so thought I’d go and see what all the fuss was about! From the Neckarpark station it was a short, well signposted walk to the museum. We got there and the queue was out the door! We still had hours before we could check in at 3pm, and the ticket desks looked like they were just behind the door, so we joined the queue. You Really Cannot Miss The Directions! 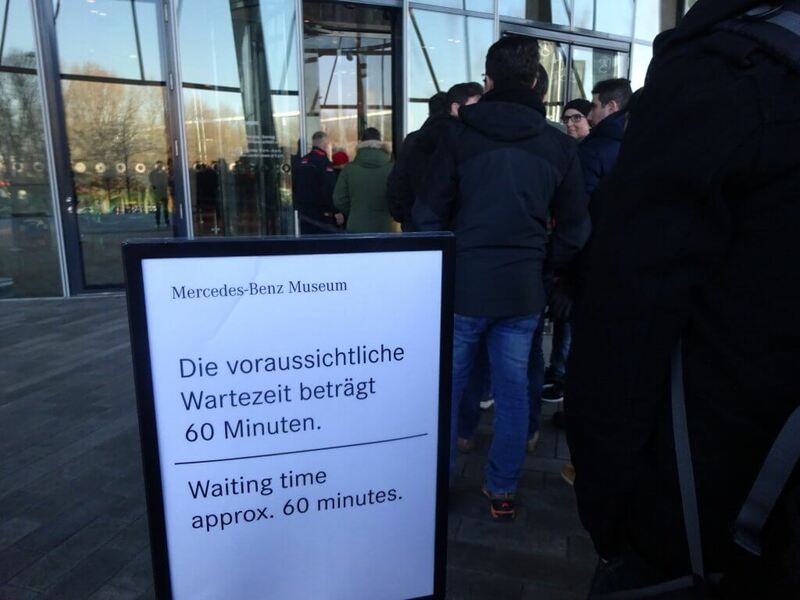 When the queue reached the front door, there was a sign to say that it was an hours wait from there! Wow! 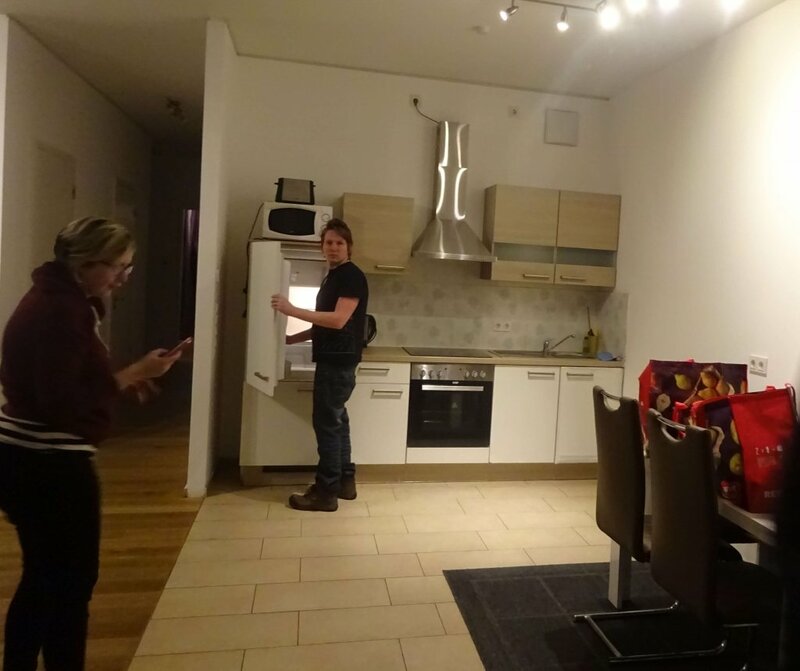 One of us had to meet the AirBnB guy at 3pm, so this was a small worry, as that was half an hour away. Alex said he’d go back and meet us in the museum if need be. We just all needed to get tickets first. An Hours Wait From The Entrance! 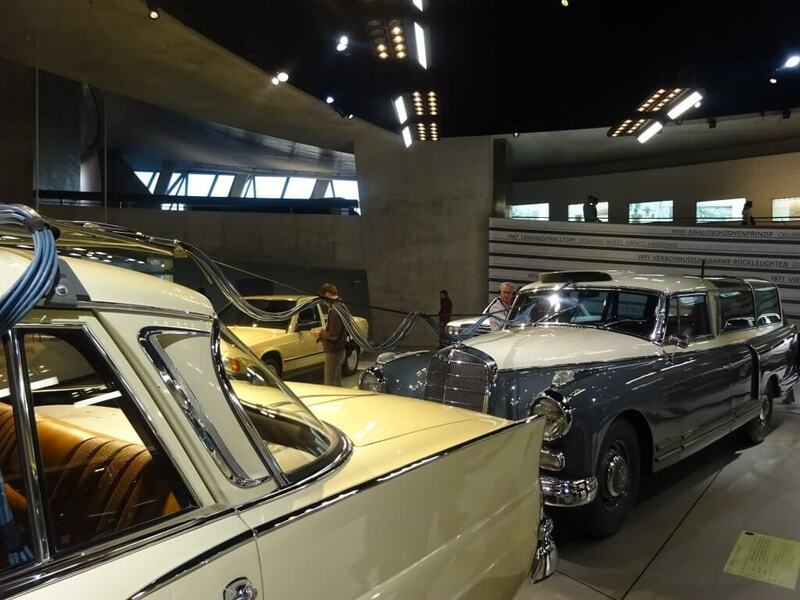 As we got through the doors we saw our first cars in the museum. All I could tell you is that it was bright green! As the queue moved along we became amazed by the lifts – they projected on the opposite wall, mesmerising. It looked like once you get in the museum you are taken to the top and have to work your way down, efficient! We finally got our tickets and with just enough time for someone to head back! Alex and Bridget went back to the AirBnB to get us checked in. Me, Dave and Bunny went to collect our audio guides and headed into the lifts. We headed to the top floor, where we would make our way down from. As we exited the lifts to the left was a model of a horse, with a quote that is attributed to Emperor Wilhelm “I do believe in the horse. The automobile is no more than a transitory phenomenon.” How wrong was he? 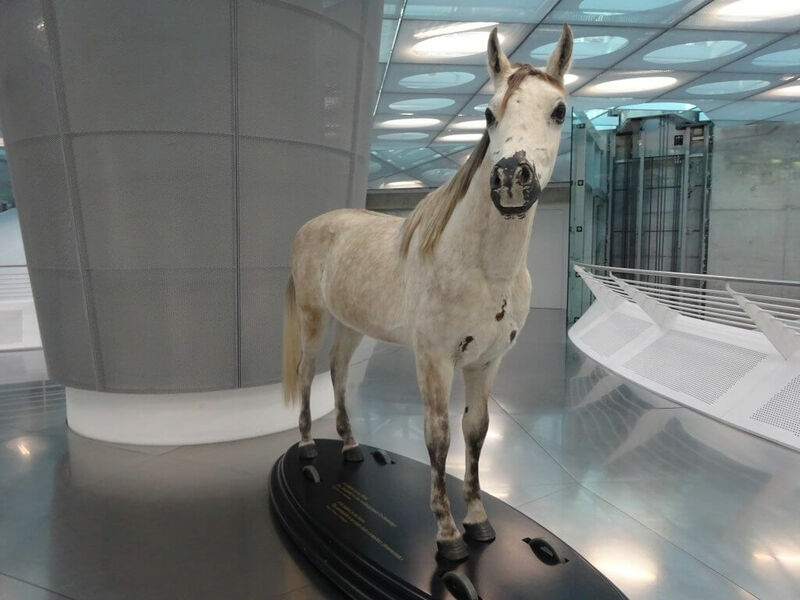 Horse At Mercedes-Benz Museum – It Wouldn’t Last Forever! Heading to the next room the audio guide kicked in automatically, efficient! 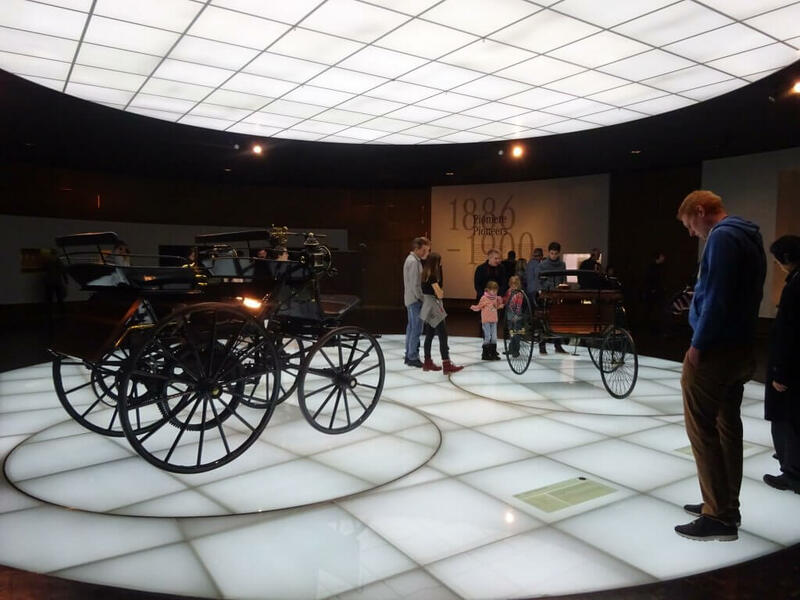 Here there was the first horseless carriage and the story about the invention of the engine. 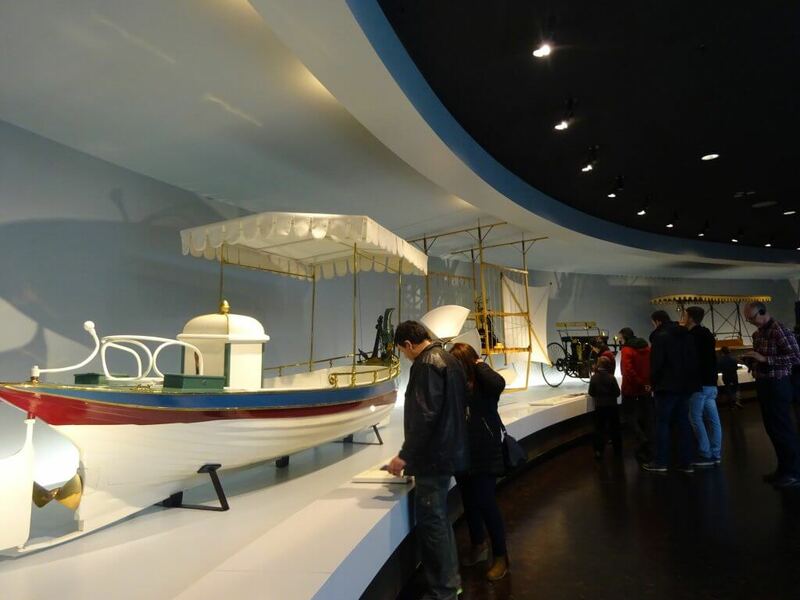 There were several models of firsts, the first milk van, the first boat with an engine, the first bus, you get the idea. 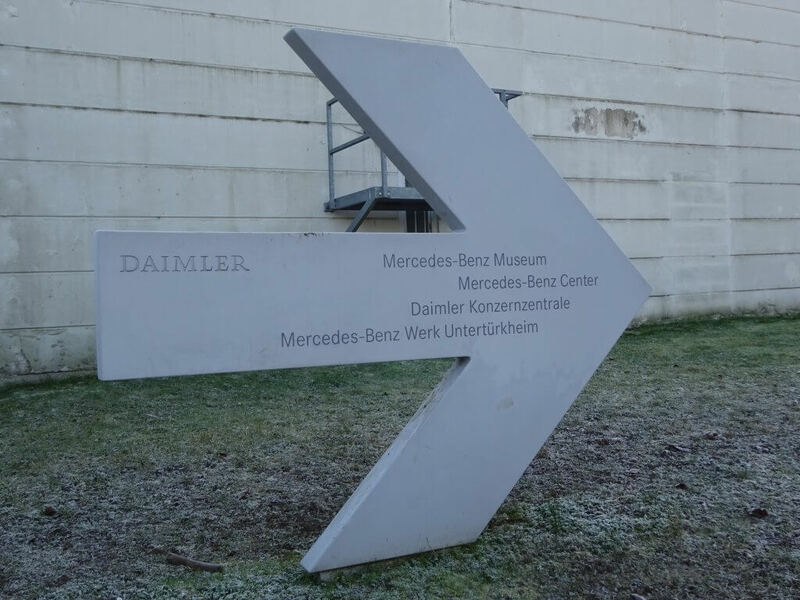 Apparently the Mercedes logo, the three points, comes from the conquering of air, sea and land with the engine – they were the first for each one. As we started to descend the slope there was a timeline, not just of cars but of the time itself. From the first engine we followed the timeline down to a room of cars from a time period. Then down another timeline to another room full of cars, you get the idea. It’s a really clever layout. I really liked that the timeline wasn’t just about cars, otherwise I would’ve probably lost interest! The first bit that really got my interest was about the X-ray, then there was a bit about the women’s suffrage. There was quite a lot I found interesting! 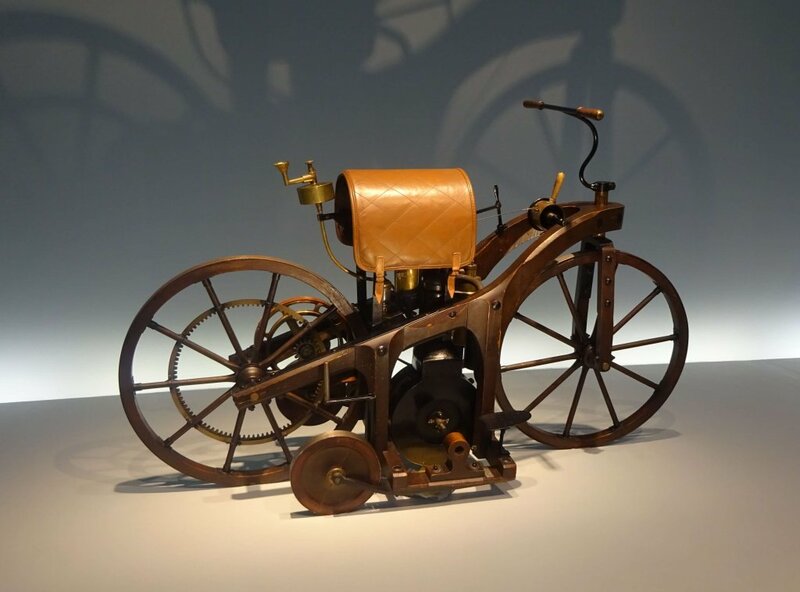 There was also a bit that told that after the war was lost Mercedes were not allowed to manufacture marine and aero engines. 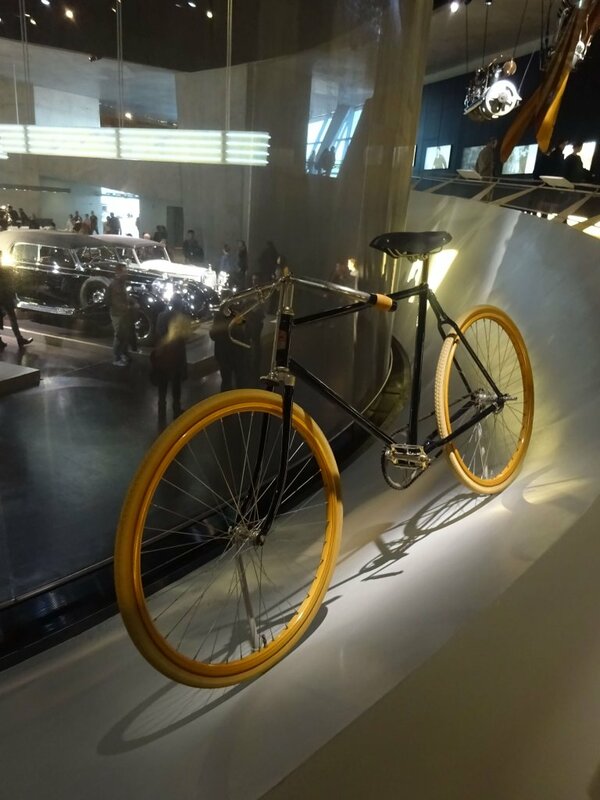 To get through this they manufacture typewriters and bicycles. 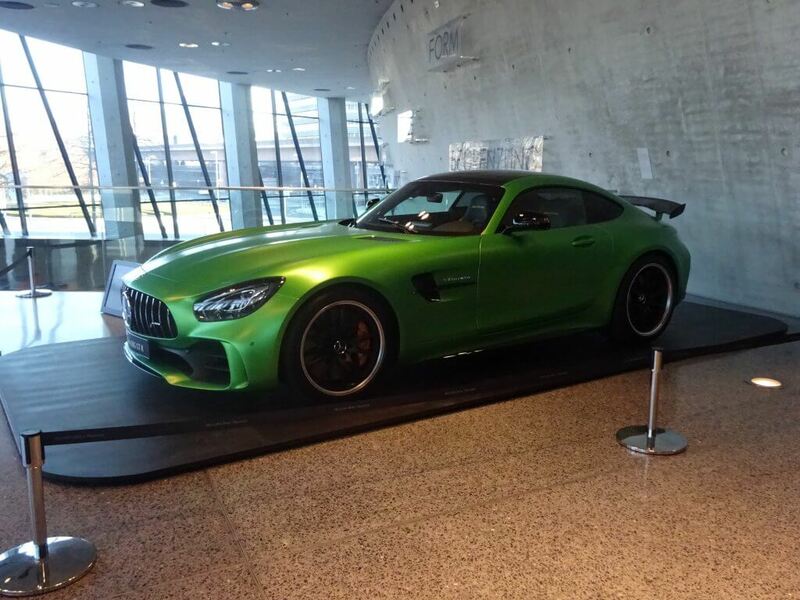 There was a part of the timeline that confused me… Mercedes Benz was made from a merging of companies. But when and who I could not tell you. It really confused me! 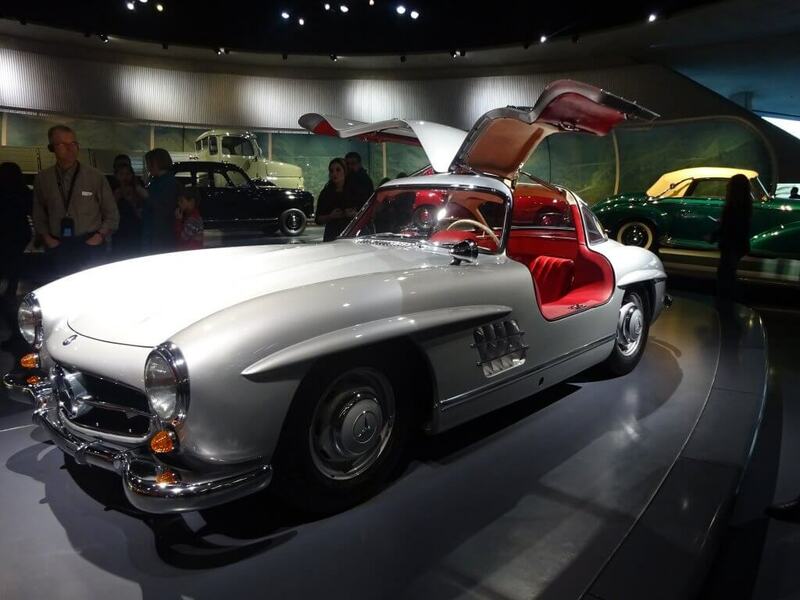 My Favourite Car In The Mercedes-Benz Museum – I Just Liked The Doors! I never knew how safety conscious Mercedes were! The company were pivotal in airbags and anti-lock braking. Both of which have been major in reducing road casualties. Mercedes also had a testing car, which I thought was awesome. 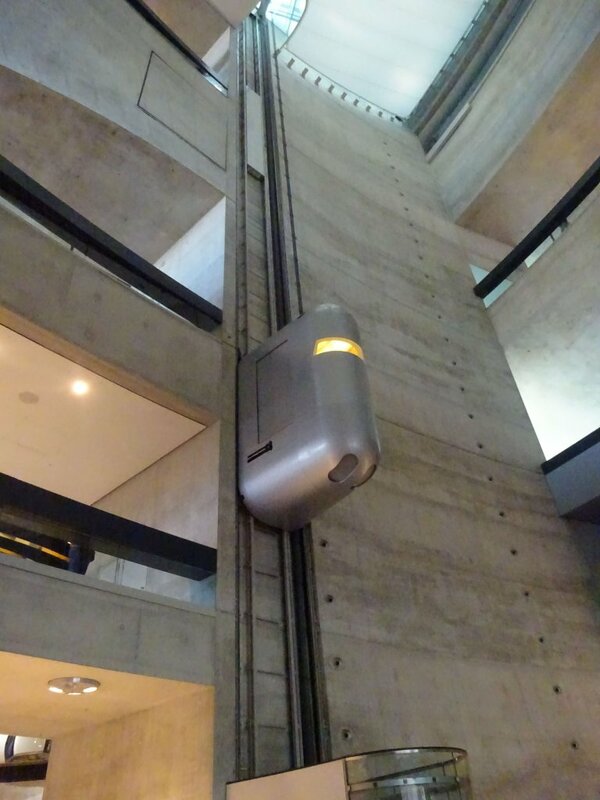 This car was attached to the car to be tested by a cable. Sensors in the test car would transmit data to instruments in the testing car. One of the last parts that I was paying attention to (and luckily it was just near the end) was the racing car part. 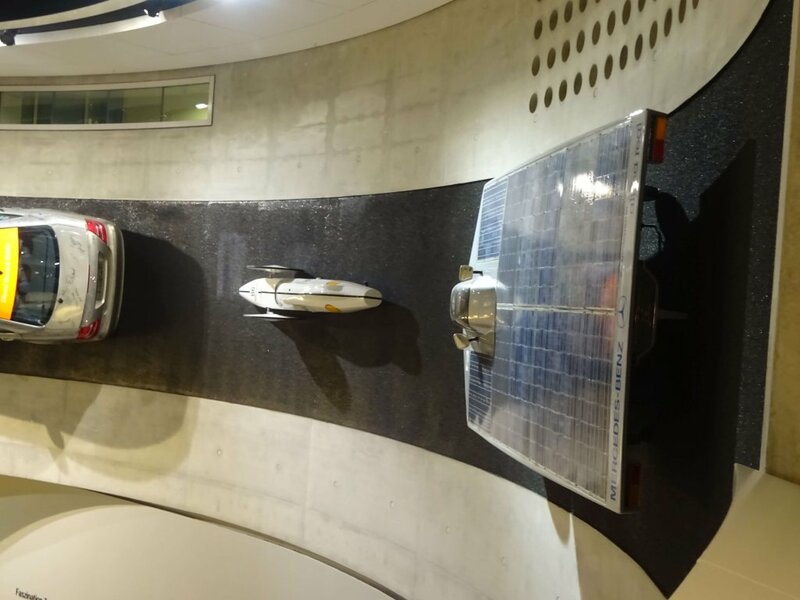 There was actually a solar car in this bit, which looked very space age. 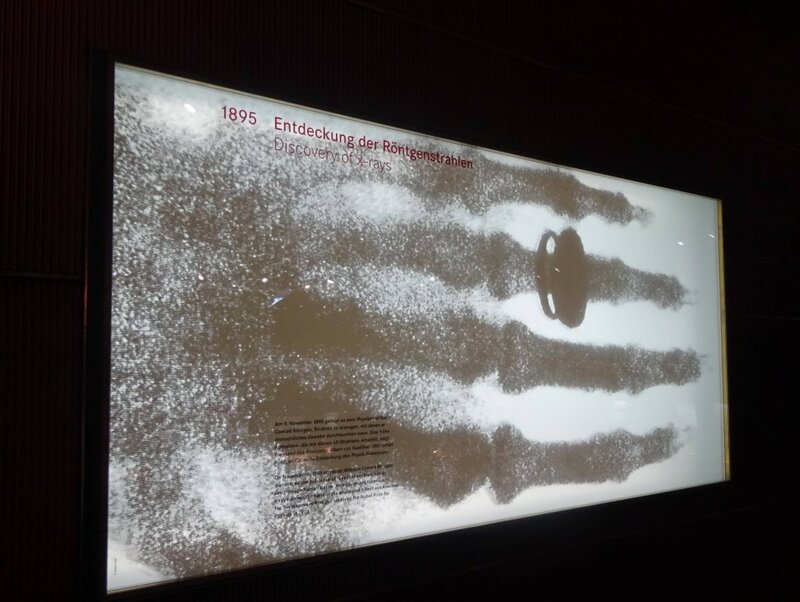 I was very impressed with this museum and completely understand why it is the top attraction in Stuttgart! I’m not even into cars and completely loved it! I was interested pretty much all the way through. I would say the audio guide could be a little repetitive at time, especially if you tend to read everything like me! But for the price, it was a very cheap museum and seriously amazing. I highly recommend it! Alex and Bridge had managed to catch up with us in the museum. At this point we were getting pretty tired, so headed back to the AirBnB to dump our stuff before getting some food. The AirBnB was beautiful. Very central, right by the main station and massive! So spacious! With an open plan kitchen and living room. It was lovely. And with free wifi! After we dumped our stuff we went to the nearest supermarket to get some food. Well the nearest supermarket that definitely did Gluten free after a bit of online research! Luckily it was just round the corner. 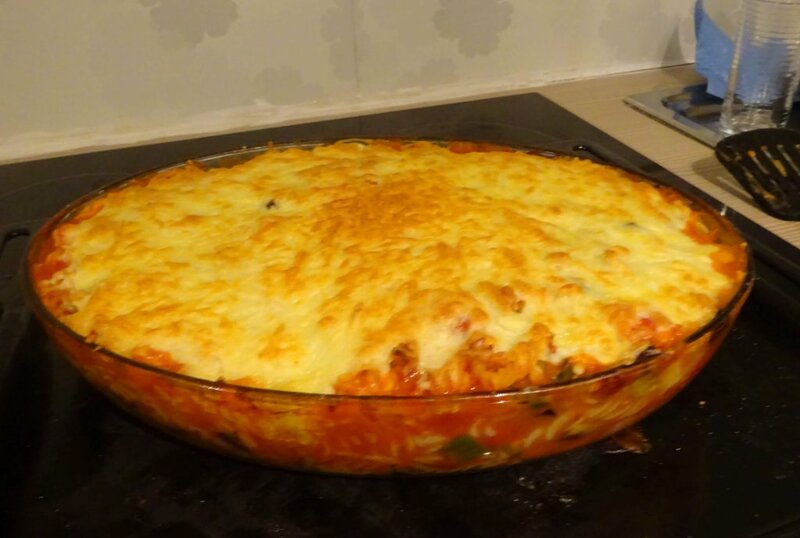 We made a cheesy, veggie pasta bake (with gluten free pasta of course). We made far too much, but it was lovely. Group cooking is always fun, especially when you just throw a load of ingredients together and hope for the best! After tea we were all pretty tired, so we decided to stay in. We wanted to make sure we were well rested for New Year’s Eve. Although we ended up staying up quite late just chatting, so an early night didn’t exactly happen! 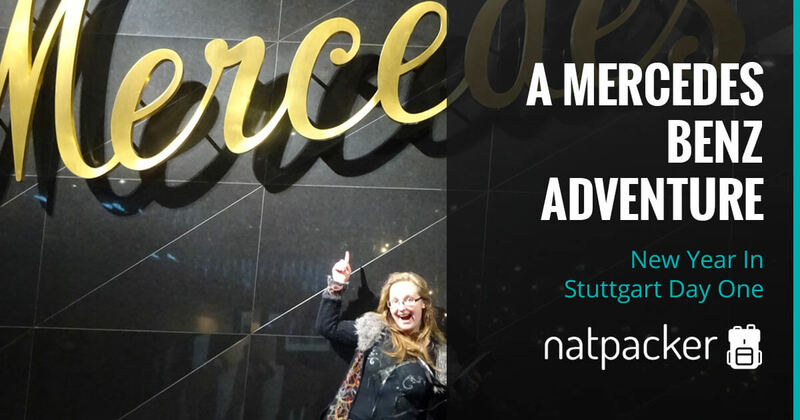 Want to know what we got up to on New Year’s Eve in Stuttgart? Go to Day 2 to find out! 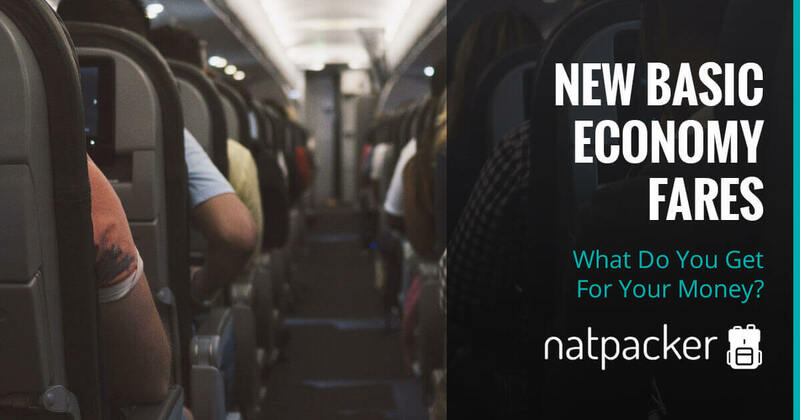 New Basic Economy Fares - What Do You Get For Your Money?